Welcome to Puppet Showplace Theater! We offer workshops, classes, summer camps, and training opportunities to both children and adults, and we partner with local and emerging artists to develop new work. In all the work we do, we strive to engage audiences of all ages, backgrounds, and abilities. After 40+ years of operations, our theater has become a treasured cultural institution. Puppet Showplace is run by an experienced staff and volunteer board of trustees. We are supported by contributions from individual donors, local businesses, and foundation and government grants. From children’s birthday party performances to provocative Puppets at Night shows, our programming is designed to reach a large and diverse audience. Mary Churchill, Founder of Puppet Showplace. Puppet Showplace Theater was founded in June 1974 by visionary educator and puppeteer Mary Churchill. Mary’s company, The Cranberry Puppets, performed shows featuring a cast of crocheted characters. Mary was known for her witty adaptations of children’s stories that featured strong female protagonists. She was a regular performer, tireless administrator, and generous benefactor of the theater until her death in 1997. 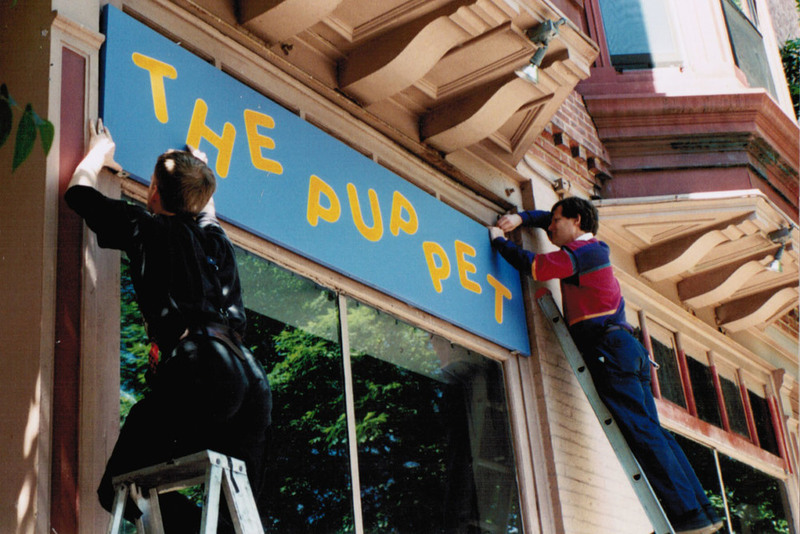 From the day it opened, Puppet Showplace became a home for touring puppet companies from across New England and beyond. Many performers became regulars, appearing on stage each season and contributing to the financial support and governance of the theater. 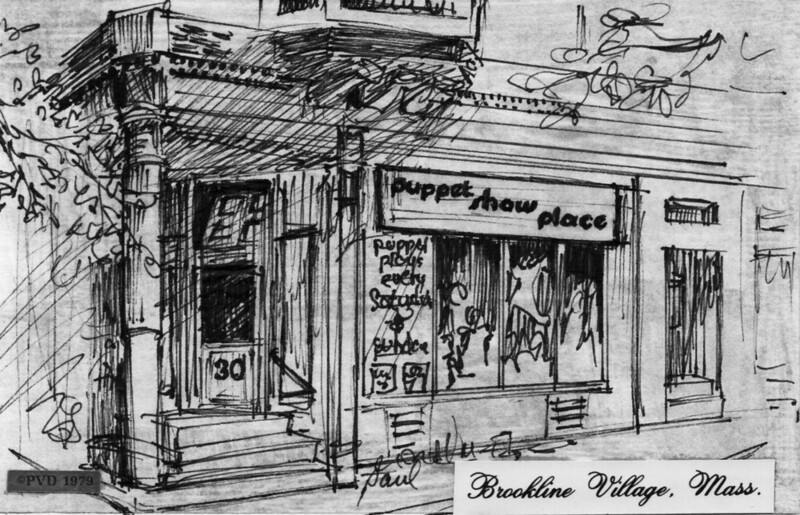 Puppet Showplace also became the official home of the the Boston Area Guild of Puppetry (formerly known as the New England Puppetry Guild). Paul Vincent Davis, Artist in Residence at Puppet Showplace from 1977-2009. In 1977, puppeteer Paul Vincent Davis became the theater’s Artist in Residence. 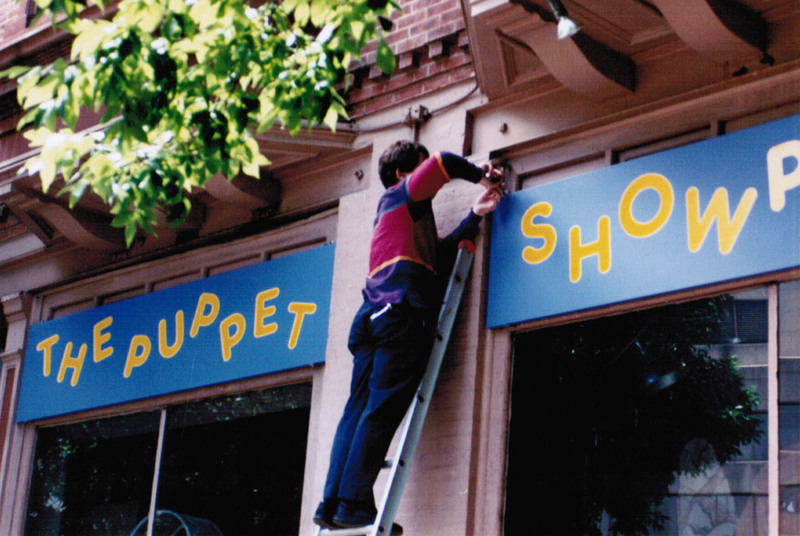 While at Puppet Showplace, Paul developed over a dozen productions for youth and family audiences. 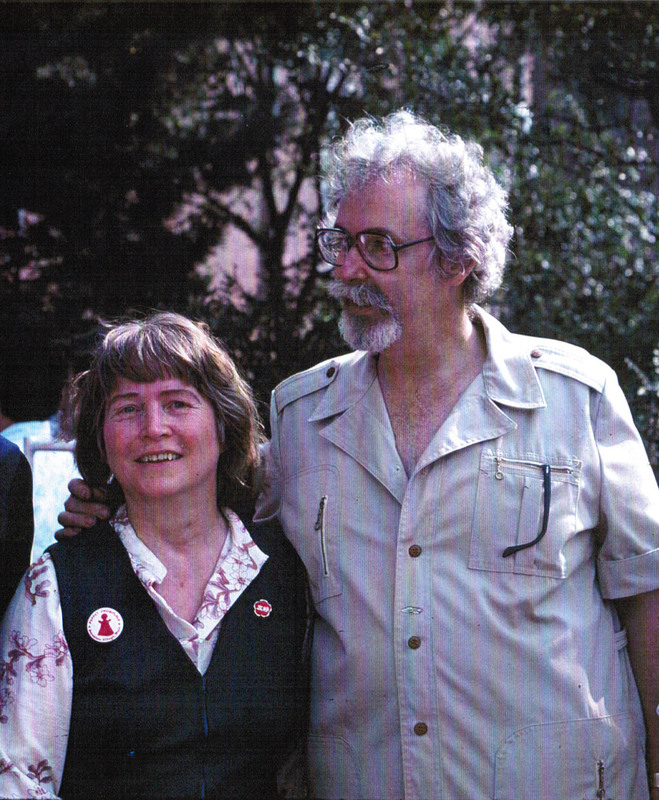 Paul received 5 UNIMA citations for his work, the highest recognition in American puppetry. He was also the subject of the book Puppeteer by Karen Lasky, which documented the behind-the-scenes development of his production of “Aladdin and the Wonderful Lamp.” Paul remained active as a performer until his retirement in 2007. He continues to teach and mentor young puppeteers in his role as Resident Artist Emeritus. Brad Shur, Puppet Showplace Resident Artist 2009-2017. In 2009, Brad Shur started a new generation of resident artists. Under Paul Vincent Davis’ mentorship, Brad trained in the art of glove puppetry and learned to perform three of the master puppeteer’s classic shows. He also began developing original productions that incorporated numerous styles of puppetry, from elaborate shadow puppets to full-body puppets. In partnership with the staff, he significantly expanded the theater’s all-ages educational offerings. Sarah Nolen, Puppet Showplace’s Resident Artist since 2017. In 2017, Sarah Nolen became the theater’s Resident Artist. Originally from Austin, TX, she has quickly earned a reputation in Boston as a skillful performer across multiple puppetry styles and a dependable designer on large-scale creative projects. Sarah has introduced new adult classes and launched Gym Jam monitor nights. Alongside resident teaching artist Honey Goodenough, who joined the theater in 2016, she works with local schools to provide hands-on arts education, preserving the art of puppetry for future generations. Puppet Showplace now serves a diverse audience, with patrons in recent years coming from 38 states, 10 foreign countries, and from hundreds of towns across Massachusetts. We sell over 20,000 tickets each year, host over 110 field trips, and reach thousands more with touring shows and workshops. Our programming has grown over the years to include camps and classes, school residencies, and presenting collaborations with major cultural institutions. 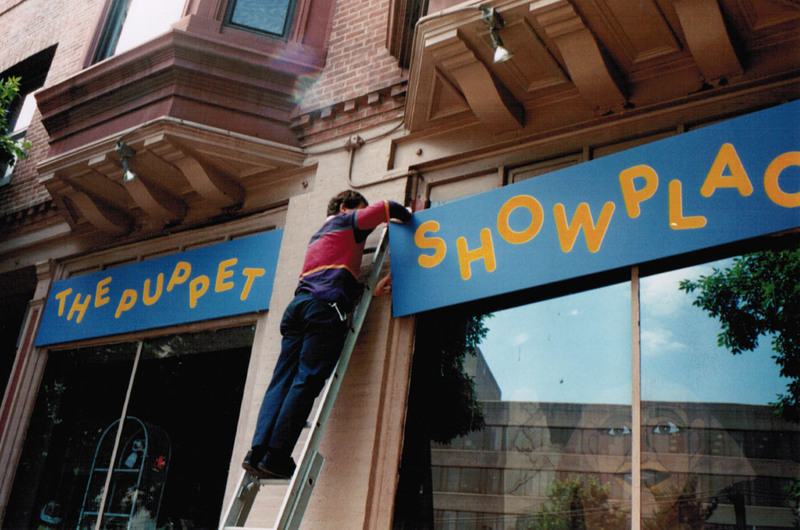 Puppet Showplace is also credited with creating the country’s first adult “puppet slam,” a cabaret-style of short form puppet theater now popular across North America. Puppet Showplace has received numerous awards and recognitions over the years, from an Eliot Norton Award Citation for “Keeping the ancient art of puppetry alive for audiences of all ages,” to Boston Magazine’s “Best Birthday Party Venue.” Today, Puppet Showplace Theater’s success is reflected in our audience, which includes the children of children who attended shows when the theater was first founded.